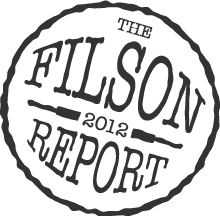 Last week, Filson Co. updated the look of their web site and I think it is just what the doctor ordered. The new design features a fresh, clean appearance, while still effectively communicating the classic appeal of the Filson brand. The new, modern look is sure to appeal to younger customers, while not alienating its more mature fan base. The site features a white background with dark blue accents and a refined navigation structure that makes it easy to quickly find exactly what you are looking for. The site also features many more bold, colorful images that make you want to drop what you are doing and immediately embark on an Alaskan expedition. Be sure to check out the new arrivals for Fall 2012 and let us know what you think of the redesign.